At York University in Toronto, 3,000 academic workers are striking for a less precarious future. 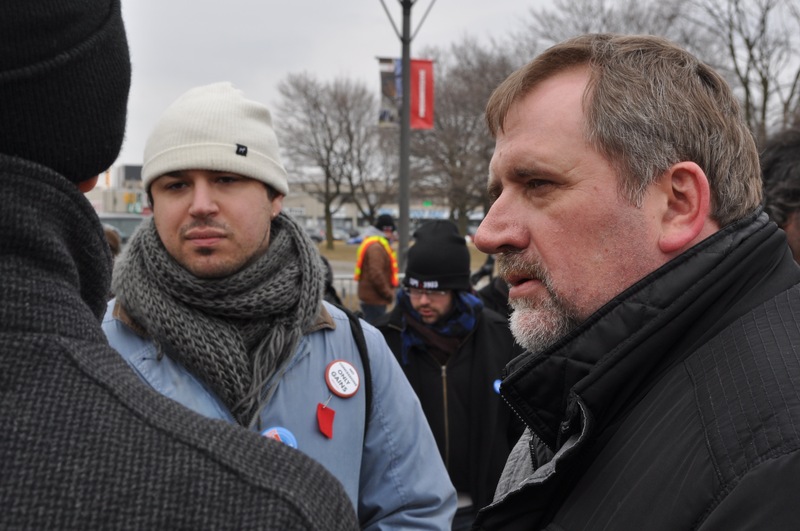 Their picket lines were bolstered today by CUPE National President Mark Hancock, who delivered a message of support and solidarity. “York University needs to understand that the only place to resolve this dispute is at the bargaining table, and I’m committed to ensuring that CUPE 3903 has the resources and support of 650,000 CUPE members from coast to coast,” said Mark Hancock. Three units of CUPE 3903 began strike action at York University on Monday, following six months of largely fruitless negotiations. The teaching assistants, graduate assistants and contract faculty are trying to push back the tide of unstable, insecure and precarious employment that has been endemic in the university sector for decades.